Adjustable Bed Donation Helps South Carolina Veteran Sleep Through The Night. When CWO Pcola learned that he would be receiving a new adjustable bed from Easy Rest Adjustable Sleep Systems he was pretty sure he would start sleeping better. What surprised him was how much he would enjoy and benefit from the beds many features. 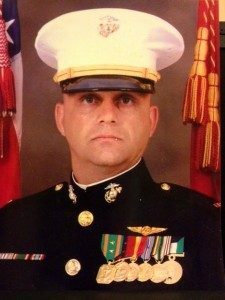 April 19, 2012 – Baltimore, MD — Chief Warrant Officer Jeff Pcola of Seneca, South Carolina had gotten used to getting by on only two to three hours of sleep at a time before waking up in pain from injuries he sustained in the Iraq war. But since receiving a brand new adjustable bed from Easy Rest Adjustable Sleep Systems, he’s now getting a full eight hours of sleep each night. CWO Pcola was injured in a combat operation near Alkut, Iraq when his vehicle was hit with a rocket-propelled grenade. He was thrown from the vehicle with such force that he suffered a broken neck, spine, dislocated hip and massive internal injuries. CWO Pcola spent many months in the hospital, endured countless surgeries, and now lives with titanium plates, screws and rods in his neck and spine. As a result of the severe trauma to his spinal column he now suffers from Reflex’s Sympathetic Dystrophy, a nerve disorder that causes pain dramatically disproportionate to the injury. Due to his many injuries, CWO Pcola can’t rest or sleep in a flat position and in the past he’s had to prop himself up with pillows in order to be comfortable. Since receiving his new electric bed, he’s able to easily adjust the head and foot of his bed to quickly find comfort while watching television, reading or sleeping. “Before, I was sleeping on a foam mattress and I couldn’t really sleep much at all. Maybe two to three hours and then I was up again. Now, I’m sleeping through the night and I stay nice and cool and I don’t get hot like I did with my old mattress,” said Pcola. “I didn’t think I would like the massage feature, but I’ll tell you what, it really helps me fall asleep. I use it a lot,” he added. CWO Pcola lives with his wife and has two children. His son is an active duty Marine and his daughter is in college studying nursing. He’s starting to learn how to play the banjo and looks forward to mastering the instrument over the next few years. “I enjoy playing the banjo and it helps to keep my mind working,” he said. He also enjoys fishing when he feels well enough to get out. Now that he’s sleeping so much better he’s hoping he will feel up to pulling his fishing rod out a little more often.